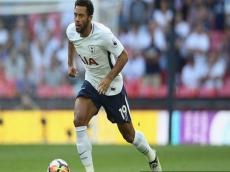 English Premier League club Tottenham will sell midfielder Mousa Dembele to Chinese Super League club Guangzhou R&F, Anadolu Agency reported. Tottenham is expected to get around £11m transfer fee from the Chinese club for 31-year-old midfielder, British media reported on Thursday. The dual nationality -- Belgium and Mali -- footballer Dembele played 13 matches this season and in total, 250 matches in Tottenham since 2012.